Thank you for being my local brewery and for helping me to consolidate my smugness at moving out of London and into the depths of Oxfordshire. Every sip of your Hooky Bitter is like a self-satisfied, hubris inducing, pat on the back for a decision well-made. CAMRA card-carrying bitter (I’m sorry, Ale) drinkers have always maintained a dismissive superiority over their juvenile, indiscriminate and undiscerning lager drinking cousins, and now that I’m a part-time member of the gang, I beginning to feel exactly the same way. Horrific, but true. Nonetheless, I am in no doubt that I would be mercilessly lambasted for confessing that, as with our Antipodean friends, I haven’t yet got my head round the idea of warm beer…I serve my Hooky from the fridge, and there is still plenty of space in my repertoire for a selection of refreshing and crisp continental pilsners of which CAMRA would no doubt thoroughly disapprove. 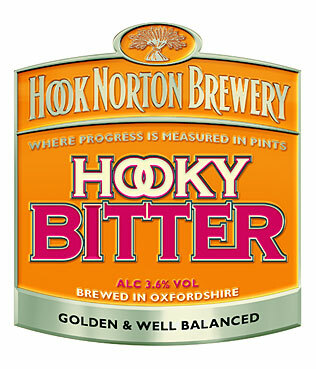 And thanks Hook Norton Brewery for your delightful Hooky sub-brand – “Pint of Hooky, please” is a stupendous “bar call”, from whichever way you look at it. Finally, congratulations on your successes at the Brewing Industry International Awards (BIIA) – the bi-annual brewing “Oscars” – that took place in February. To emerge with 3 medals from a field of eight hundred beers, from 30 countries, is truly commendable. This entry was posted in Food & Drink and tagged BIIA, CAMRA, Consumer Proposition, FMCG, Hook Norton Brewery, Hooky, Oxfordshire, Sub-brand on March 10, 2011 by Ned Colville (Head of Consultancy @ C Space).